It’s wise to use fitness apps to help you burn more calories and track your workout level in real time when you want to stay young and get in shape. But, there are tons of fitness apps are available in android and ios platforms, most of app manufacturers claim their products are best. Although download those apps just need one click through your mobile, it’s recommended to think twice before making decision. You don’t know what you will lose in the click. Just like other apps, you can only install them in your mobile when they are useful for you or make you happy. There isn’t any different in fitness categories. When it comes to Best Fitness Apps 2018, you have to choose the best tool which contains comprehensive functions and all in one features. Hence, you don’t have to waste your mobile source in those single fitness apps. I have told you the basic knowledge, I am going to review the best fitness apps in the market and do the investigation for you. In order to complete a perfect list of Best Fitness Apps, I installed those apps one by one and recorded my feeling after using it. Here is the Best Fitness Apps I pick for you. Reading it before making decision. The first fitness app in our list is Aaptiv, it’s a outstanding assistant to help you achieve your fitness goal and guide you how to exercise in the right way and avoid torn ligament which occurs more often while strength training. No matter what body level you are and how many pounds you have, it offers over 2,500 audio classes which is made by Certified, inspiring trainers to you. 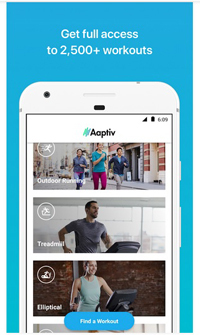 You don’t have to hire your personal trainer, Aaptiv app does the job for you. What I love this workout app is that the manufacturer will bring 30 new classes to their client when they feel boring for previous classes. That’s a good feature, it drives me mad when you train me doing same workout day by day. People usually want to try new and fresh workout idea. Unlike other fitness apps, Aaptiv stands by user’s side and considers their demands in advance. It guides you to exercise, no matter you want to do indoor workout or outdoor running, no matter you are a yoga lover or a treadmill addict. 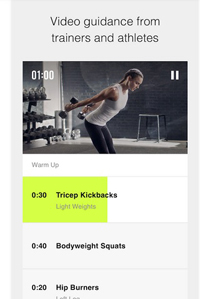 Although Aaptiv is a perfect workout app, there is flaw in the software that their team forget to add the DIY feature, hence users cannot use their own workout music when using Aaptiv. Nike is famous sport brand and there are many people use their shoes more often in the world. They launched their own fitness app also, it named Nike Training Club, offering workout videos to those people who want guideline while they exercise. 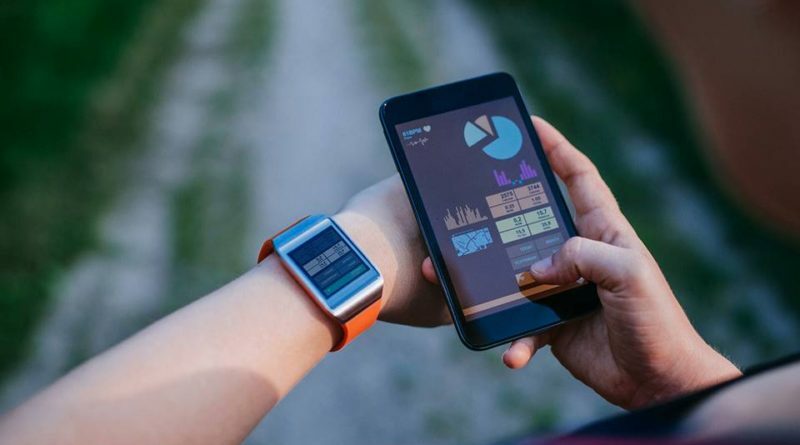 As a outstanding fitness app, Nike Training Club stores your workout data to their database through internet, so that you can know your body level in real time. Nike Training Club owns a great list of athlete sources, you can get the guideline from them via their system. Just like Aaptiv, Nike Training Club offers their user fitness classes which filmed by hot athletes, but they only provide 160 workout class to their user. Sworkit knows we are busy in our life and respect our time. This fitness app offer the workout class from 5-60 minutes. You don’t have to exercise at home after getting off work, just using the app and do 5 minute stretch in the office. 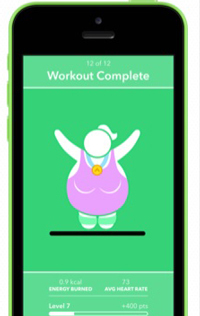 What I love Sworkit is that the workout app offers H.I.I.T and Tabata classes to their users. If you are those exercise lovers, you can use it. But their one year subscription over $79.99. Sworkit also offers personal trainers to you, but I am not sure whether those trainers is certified or not. As they don’t own famous athletes just like Nike Training Club. 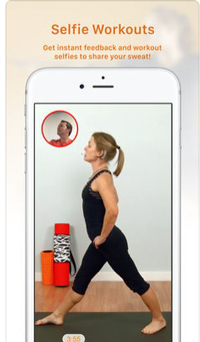 Fitnet Live Coach provides workout videos to people who have health and fitness demand. But the video is limited and only has 200 workout classes. Fortunately, the fitness app offers the personal coach which many guide you how to exercise in the right way. Unlike other workout apps which just teach you how to exercise, Fitnet Live Coach provides selfie function which makes you share your workout result to your friend in real time. For IOS users, making sure you update your version to 9.0 before using it. Couch to 5K focuses on pressing user to run at least 5k each day. This is a amazing fitness app for you when you want to shed your pounds and improve your health level. But it’s nightmare to some people who don’t love running. 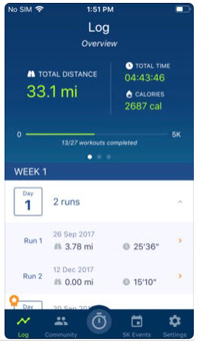 As a professional running app, it may track your running process in real time. Couch to 5K offers music playlists with in the music player, you can relax and enjoy the music when you feel tired after running about 5k. Just like I mentioned before, Couch to 5K is a great fitness app for runner. But it isn’t fit if your goal is doing yoga and strength training. Hence, the workout app may help your heart and lung, but doesn’t help gain muscle. For some of female users who want to do yoga, Couch to 5K doesn’t offer that option as well. 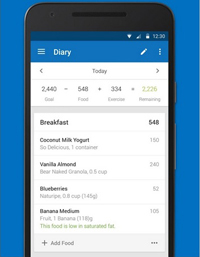 MyFitnessPal isn’t a good fitness app if your intention is to get in shape through, but it’s stunning diet tracker which helps you know how many calories you have eat through their calorie database which covers 5 million foods. You can control what you eat once you install the workout app. Hence, you have to use other workout app such as Aaptiv, and Nike Training Club with the MyFitnessPal, if you want to lose your weight fast and keep a nice shape. Carrot Fit is a sharp fitness app which make you do the exercise which is similar to High-intensity interval training. It’s great for some people who don’t have free time to exercise, but the training is tough and there isn’t any trainer in the app to guide you. Carrot Fit also doesn’t contain other workout class except High-intensity interval training class. Making sure you don’t have any heart disease and talks about it with your doctor before using the app. Those sharp exercise usually may damage your heart and other organs. 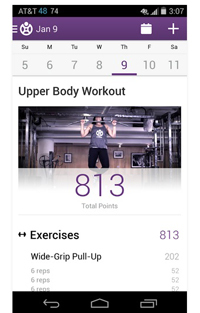 Fitocracy Workout Fitness Log is a fitness app which focuses on help people to do strength training. It offers workout track function to their user, hence you can know your workout process through the app. If you want to build muscle, you can install this app, but you have to buy expensive strength training equipment or order expensive gym membership, because the app doesn’t offer this service. In addition, Fitocracy doesn’t provide coach to you so that you have to be careful while you doing strength training, there isn’t any fitness expert to guide how to avoid workout injuries. It’s recommended to hire a personal trainer before using this fitness app. 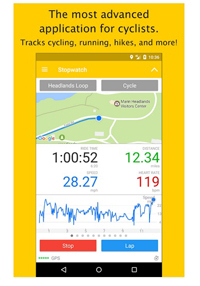 Cyclemeter is a workout app which is designed to help cyclists, mountain bikers, and runners, recording their process when they workout. It contains the gps function which tells runner where the location is through google map. If you are a runner or hiking love, you must download it as other app doesn’t offer such function. But, it’s not a good app for you, if you want to workout at home or do yoga. Because you needn’t a map to inform you your current location. Fitness app is a tool which can aid you to workout through your smart phone when you want to get in shape. It usually contains workout class which teach you how to exercise in the right way, and workout tracker which many track your activity, distance and so on. It’s great tool to know your workout process and body level, so that you can make your fitness plan according the data which the app collect for you. The workout app also a amazing tool to discover the potential diseases which you can prevent in advance. The workout apps I listed above is based on my experience, the fitness app is just a tool which help you achieve your goal, hence, you need to have a clear concept in your mind that what your intention is before using it. It’s stupid to use the app that everybody use. If you want to lose weight, but you download a app which focuses on strength training. It’s wrong step. Another tip I can give you to pick the best fitness app is that there isn’t a free lunch in the world. Hence, you need to keep in mind that you shouldn’t install those free apps. Because they will take the money back from you ultimately. Thinks about it! Those workout apps cost $100 per years, but they offer certified trainers to you. How much you need to hire a personal trainer in the gym? It costs $100 per class, but you can hire him over 1 year just pay the same amounts of money. In addition, you need to choose those apps updating their fitness classes frequently, so that you can enjoy extra service for free when compare to those apps don’t update the workout classes. Also choosing the fitness apps cover all kinds of workout, because you don’t know what workout you want to do next. Maybe you do the yoga today, but you want to do strength training next day. All in all, there isn’t best fitness app in the world. We just list the workout apps which are worth to try in 2018. Install or not? You make the decision.